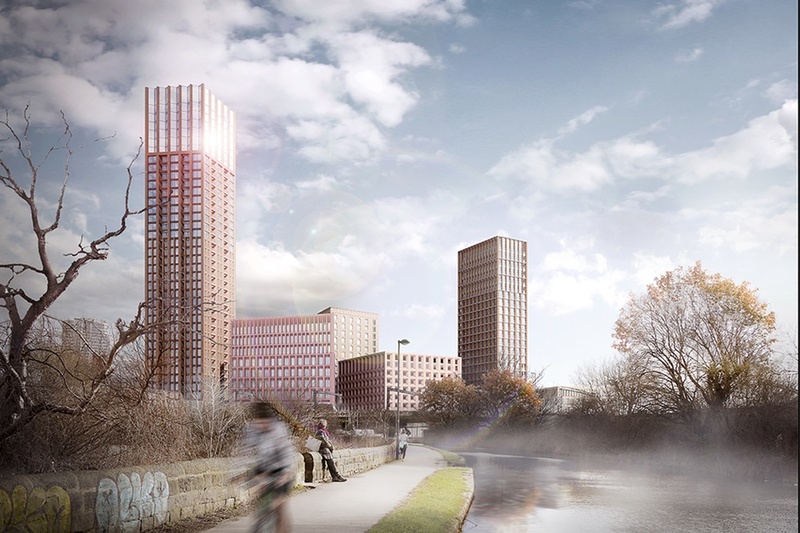 Developer CEG is preparing to start clearance work for a £350m joint office, retail and residential development around what would be the tallest building in Yorkshire. 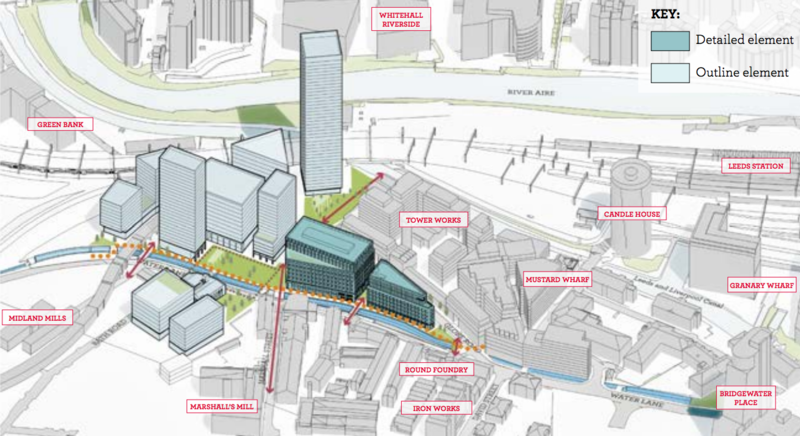 The South Bank scheme will involve a mix of buildings ranging from five to 40-storeys. The developer is planning to start work on the key 6-acre South Bank site in the city centre after agreeing a section 106 deal with Leeds City Council. 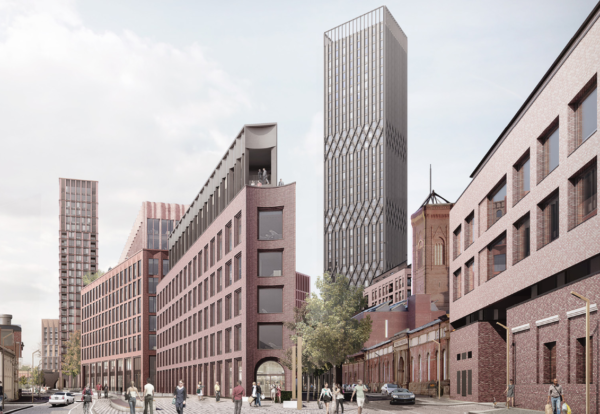 Its Feilden Clegg Bradley Studios designed mixed-use development is being hailed as the catalyst to kick-start the regeneration of the area, which for many years has seen planning permissions granted but not built out. Work will commence next month demolishing the former warehouse on Water Lane and preparing the site for development. A carefully scoped programme of archaeological excavation will uncover whatever remains on the site which housed John Marshall’s – king of the flax industry – first two Mills in the eighteenth century. CEG has already invested £300,000 into securing the Grade II listed bridge, which formed a historic route for the Marshall empire and will once again form a physical link over Hol Beck, connecting Water Lane and Marshall Street to the new development at Globe Road. 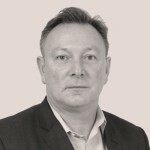 Jon Kenny, strategic development director, said that CEG had started marketing its South Bank development, which now has detailed planning permission for two office developments with ground floor retail and leisure totalling up to 280,000 sq ft. The wider scheme has outline planning for up to 1.1m sq ft of offices, retail, leisure, hotel, health, education and community uses, and up to 750 new homes. This will be delivered in five phases over 12 years. The first phase of development is likely to be Globe Point – a flat-iron shaped building acting as a gateway from the east to the site. Thereafter the construction is expected to progress from east to west.